Reduce the risk of heart disease when used in a diet low in saturated fat and cholesterol. Soy protein is one of natures true miracle foods! Just one serving of Naturade 100 percent Soy Protein Booster daily supplies all 25 grams of the soy protein you need to fight Americas number one killer of both men and women. The Food and Drug Administration has recognized that 25 grams of soy protein daily may reduce the risk of heart disease when used in a diet low in saturated fat and cholesterol. Over 40 clinical studies show that soy protein helps lower total and LDL cholesterol. Increasing your daily intake of soy protein with all-natural Naturade 100 percent Soy may also help improve bone health and ease the transition through menopause. As a protein booster, it provides a balanced profile of all the amino acids your body needs, including the essential amino acids that your body cannot produce on its own. It rates a perfect 1.0 on the FDAs Protein Digestibility (PDCAAS) score, equivalent in quality to animal protein. 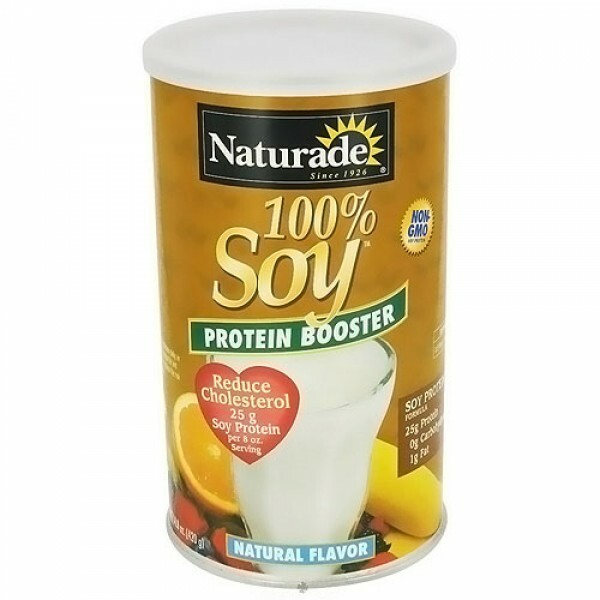 Naturade 100 percent Soy Protein Booster is an easy way to add protein to the foods and drinks you already prepare at home. Its formulated with high-grade soy protein isolate containing naturally occurring isoflavones without the extra fat or strong aftertaste of whole soybeans. Theres no carbohydrates or added sugar, so you can create your favorite food dishes and drinks with great taste and extra protein! Soy Protein Isolate, Calcium Citrate, Phytonutrient Blend (Carrot, Tomato, Broccoli, Cabbage and Spinach), Soy Lecithin, Natural Flavors and Enzyme Blend (Bromelain and Papain). Stir one third cup (28.4 g) of Naturades 100 percent Soy Protein into eight ounces of milk (Whole, low fat, skim, rice, or soy). For a smoother, thicker shake, mix in an electric blender with crushed ice. Fruit can be added for variety. You can increase or decrease the amount of liquid to meet your desired taste. Since Naturades 100 percent Soy Protein has little flavor, it can be added to foods to increase your protein and isoflavone intake. 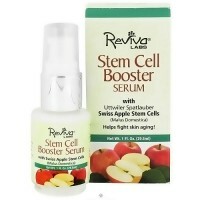 Try it in pancakes, cereals, stews, soups, pasta sauces and yogurt.